I see that there’s a Travel Challenge this week. The theme is “Street Markets,” of which I’ve visited many on my travels. 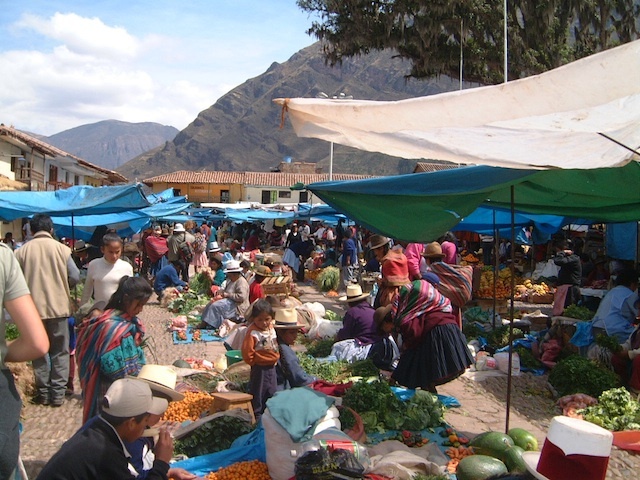 This fruit and vegetable market just outside Cusco in Peru, was very interesting indeed. I saw all manner of fruit and veggies that you don’t get in our shops. 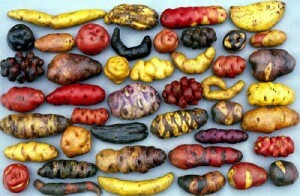 Our guide told us that there are 4,000 types of potatoes in South America. We didn’t see that many, but certainly saw quite a lot that we didn’t recognise. 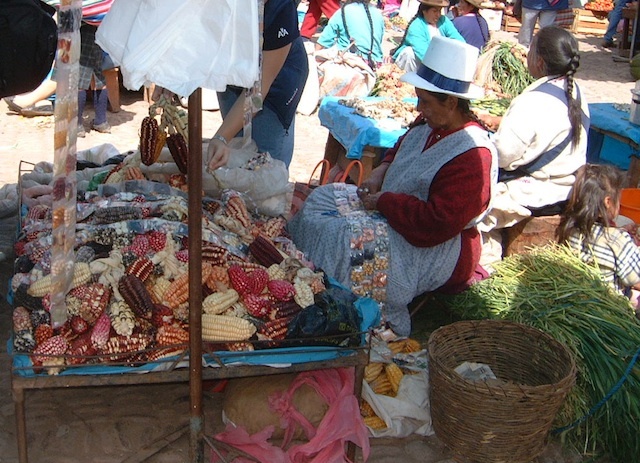 Peruvian farmers grow more than 55 varieties of corn, more than anywhere else on earth.This woman had some in every colour: white, yellow, purple, black, red and mixed. We also found a stall selling many different natural dyes. The Andeans love their brightly coloured fabrics. The favourite colour is red, and the female cochineal beetle, to be found on the prickly pear cactus, is dried and ground down, to be used in the production of red dye. 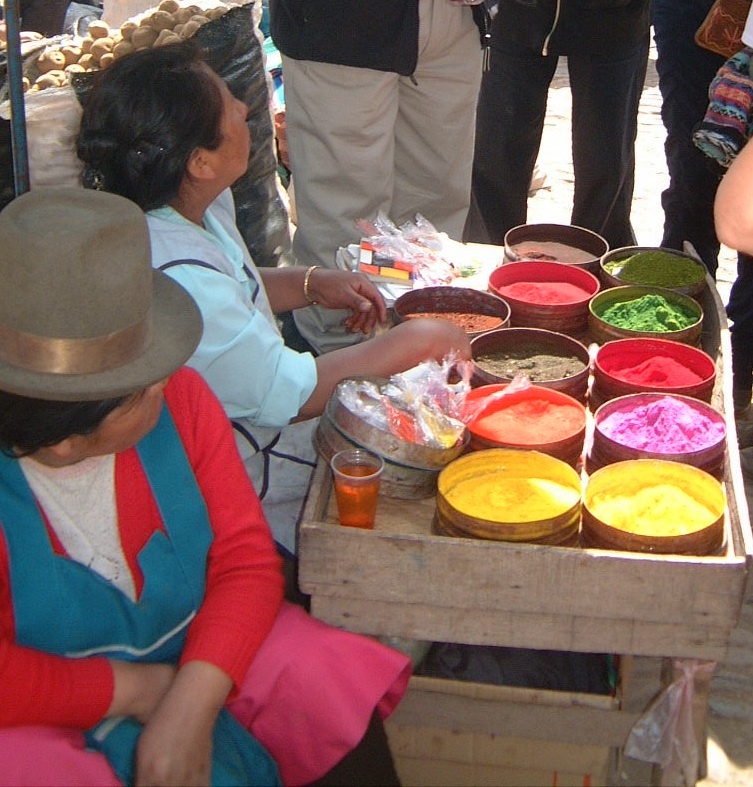 The other dyes are mostly vegetable, made from flowers, moss, tree bark and nut shells etc.. 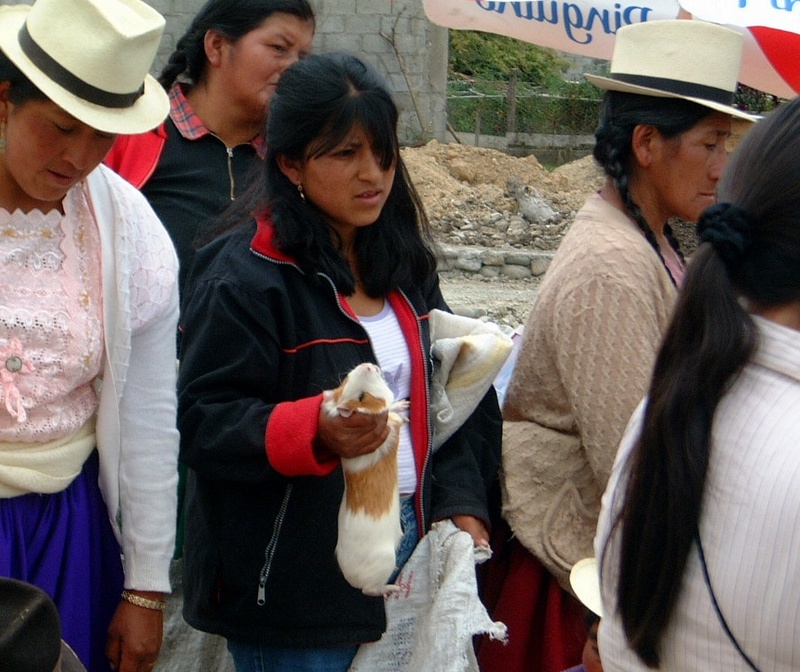 In Quito, Ecuador, we were surprised and horrified to see live guinea pigs for sale in the market, by the sackful! 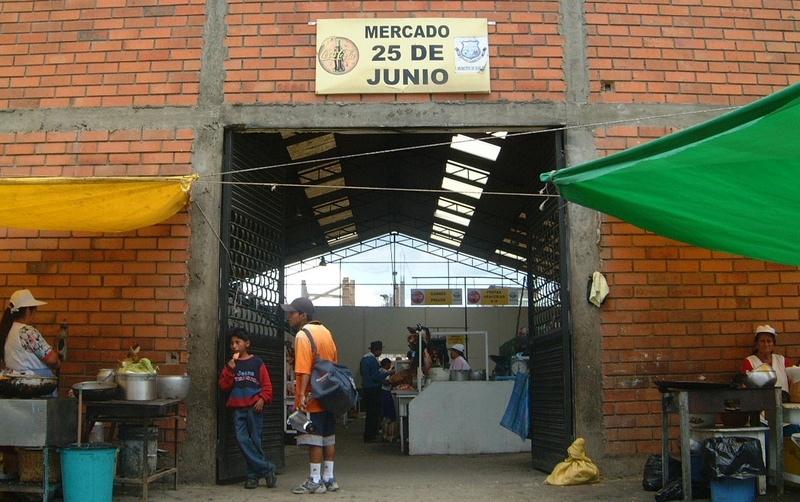 Gualaceo, about 45 minutes’ drive from Cuenca, is a very traditional town, and here we came upon this 25th of July Market (Mercado 25 de Junio). 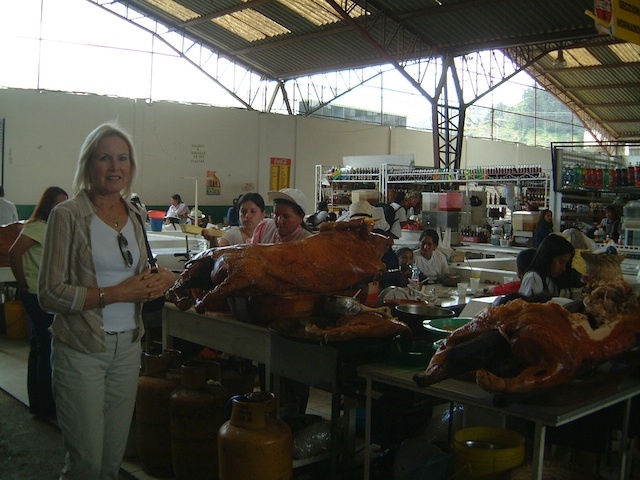 At the doorway to the market, we saw a woman selling what appeared to be ‘fast food’. On closer inspection, this is what we saw! 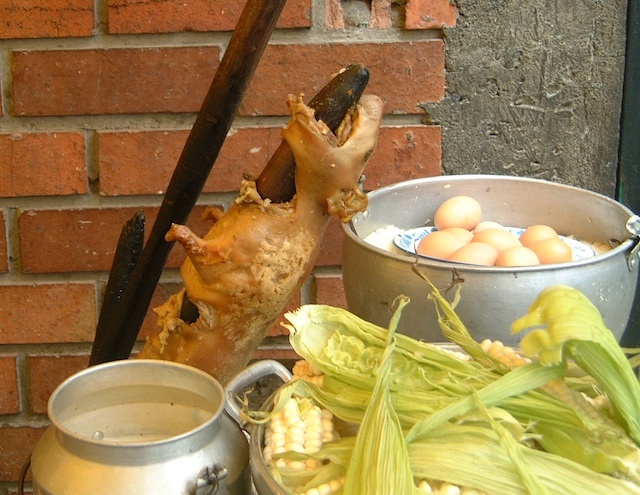 It was roast guinea pig and corn take-away!! 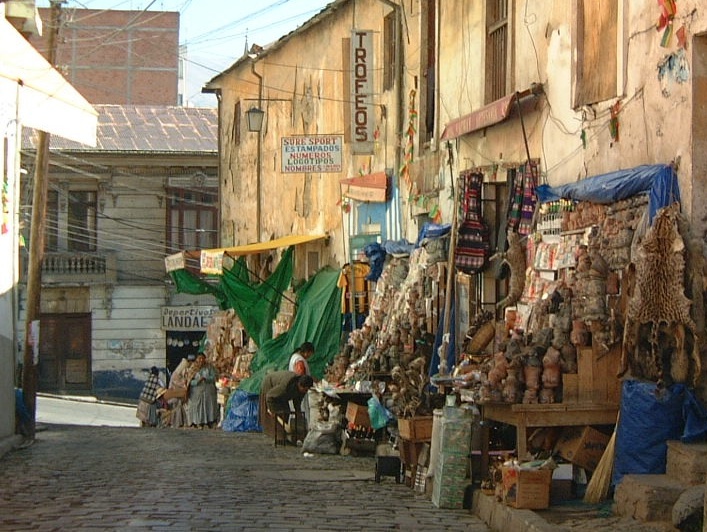 Well, that’s enough pics of South American markets to be going on with. If you want to see what markets other bloggers have been to, just click here.